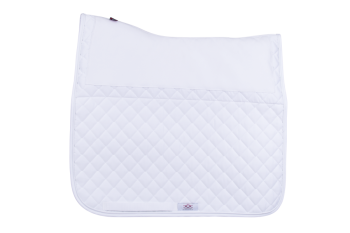 An all-in-one solution for the rider who is looking for the technology of the half-pad integrated with a traditional friction free saddle pad. 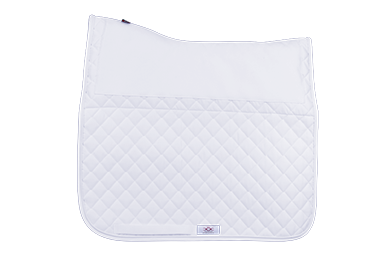 This combination acts as a buffer that fills any voids between the saddle and the horse; it also stabilizes the saddle, and provides shock absorption and anti-friction for both the horse and the rider’s back. * Front and back dense foam air raiser pad inserts may be added as an option. **This pad comes standard with one piping and binding.